The Kroger grocery store has food brands called Simple Truth and Simple Truth Organic. 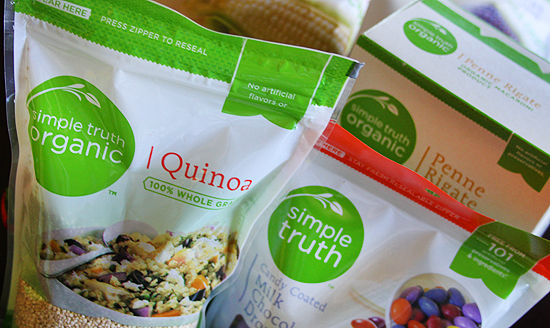 The Simple Truth Organic line is USDA Organic certified, so there is no problem there. On the other hand, the Simple Truth is sold as being “natural,” but that means nothing. The Simple Truth products may contain Genetically Modified Organisms (GMO’s), depending on what the product is. So while the marketing for Simple Truth is “natural,” it really is not due to GMO ingredients. As you can see in the sample picture above, the two brands are very similar looking, so be careful when shopping if you want to buy organic products. Simple Truth can contain GMO. However, Simple Truth Organic does not contain GMO.